Thinking about building a new library or renovating an existing facility? 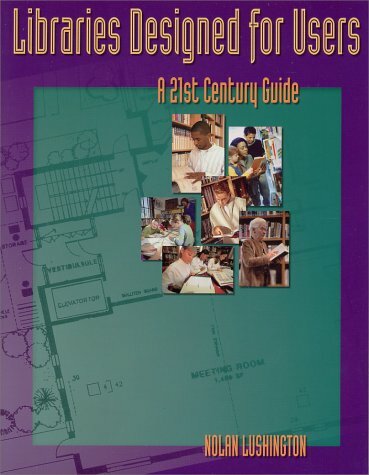 Nolan Lushington shows you how library facilities can be successfully planned, designed, or remodeled with multilingual services, coffeehouse areas, late night services, multimedia programs, outdoor facilities, daycare programs, electronic classrooms, art galleries, teen centers, and more. He also provides a directory of resources for the latest equipment and supplies. Actual plans, sketches, budgets, proposals, forms, and blueprints for renovations and new facilities are included in this invaluable and comprehensive 21st century guide.